While Windows 8.1 is a free update for existing Windows 8 users and one can upgrade Windows 8 installation to Windows 8.1 without losing installed apps, PC users who’re running an older version of Windows can’t directly upgrade to Windows 8.1 update. Even though Windows 7 users will be able to upgrade to Windows 8.1 by purchasing the upgrade copy, they have to reinstall all installed programs after upgrading to Windows 8.1. That means, you’ll be able to keep personal files and Windows settings only. And if you’re using Windows Vista or Windows XP, Microsoft recommends you buy a retail DVD instead of using the download and then perform a clean install of Windows 8.1, meaning that you need to purchase “full version software” and not the upgrade copy. But before installing Windows 8.1 on your Windows XP machine, we recommended you check if your PC’s hardware supports Windows 8.1 operating system. In other words, you can’t upgrade Windows XP and Vista to Windows 8.1 without performing a clean installation. Even though performing a clean install is always better option, some users might want to upgrade Windows XP to Windows 8.1 without going through the recommended clean install method. If you want to upgrade to Windows 8.1 from Windows XP without doing a clean install, you need to first upgrade the installation to Windows 8 by purchasing the currently available Windows 8 upgrade media, and then upgrade to Windows 8.1 for free (Windows 8.1 update is free for Windows 8 users) when Microsoft releases the Windows 8.1 update on October 18th. 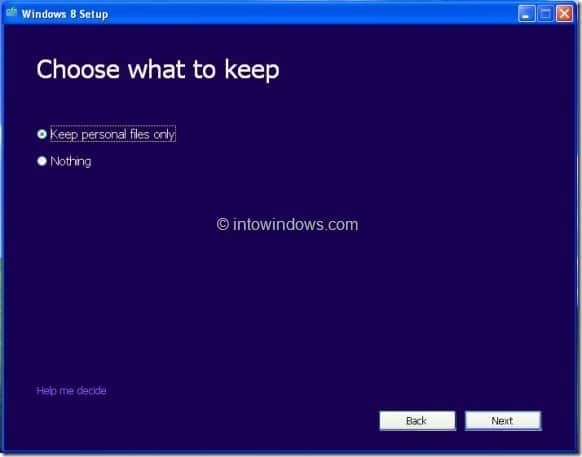 For those of you who aren’t aware, one can upgrade Windows XP to Windows 8 by keeping personal files. 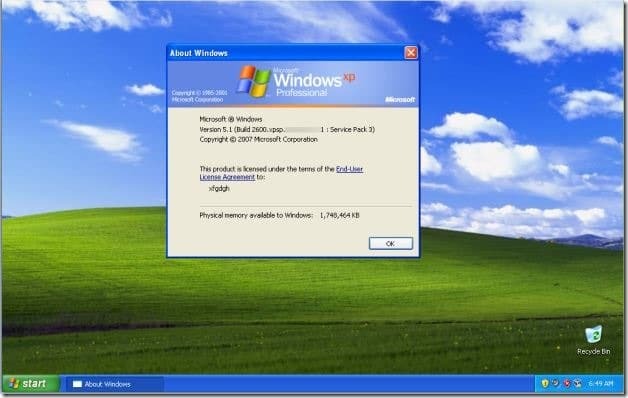 So when you upgrade Windows XP to Windows 8, you’ll lose only installed programs. And if you want to run your Windows XP compatible programs in Windows 8/8.1, you can go through our how to get Windows XP Mode feature in Windows 8/8.1 guide. 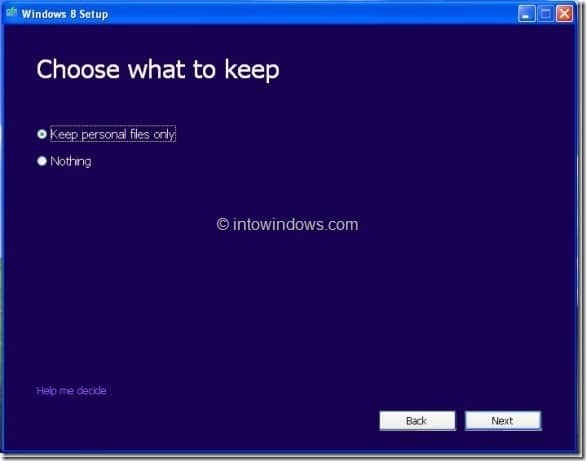 Upgrading to Windows 8.1 by performing a clean install: Backup your files, note down all the programs you’re running so that you can quickly install all of them after installing Windows 8.1, purchase “full version” of Windows 8.1 retail DVD (not the upgrade copy), boot from the DVD, and then install Windows 8.1. Upgrading to Windows 8.1 without doing a clean install: Buy a Windows 8 upgrade copy right away (the currently available Windows 8 upgrade copies will not be available once Windows 8.1 is released to the public on October 18th), upgrade your Windows XP installation to Windows 8 by following the detailed instructions in our how to install Windows XP to Windows 8 guide, install all programs that you want, wait until October 18th and then upgrade Windows 8 installation to Windows 8.1 for free by keeping personal files, installed programs, and Windows settings. And if you want to know the difference between Windows 8 and Window 8.1 update, please check out difference between Windows 8 and Windows 8.1 article. The .1 update adds over 50 awesome features to Windows 8. I just purchased Windows 8.1 from Microsoft. I was told to backup my files by using a flashdrive…install 8.1…then download my files into the existing Windows 8.1. Is this feasible without corruption of my files?